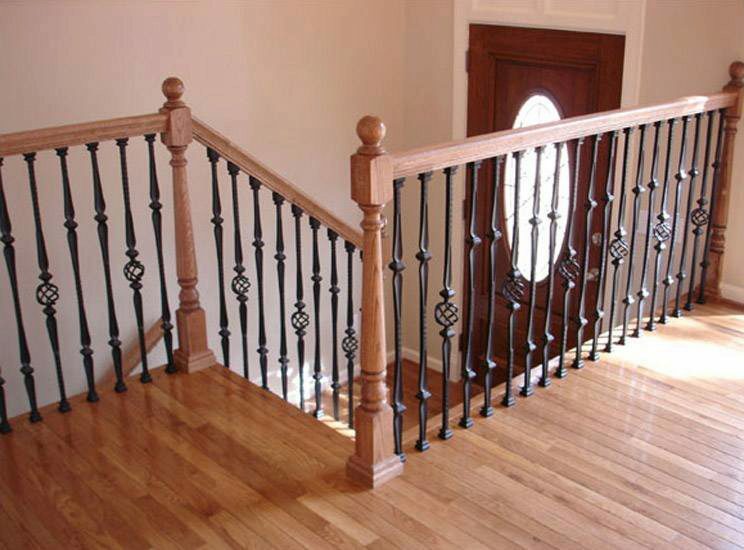 With gentle curves and grooves, the Colonial Turned Newels support your stair railing while providing early-American charm. 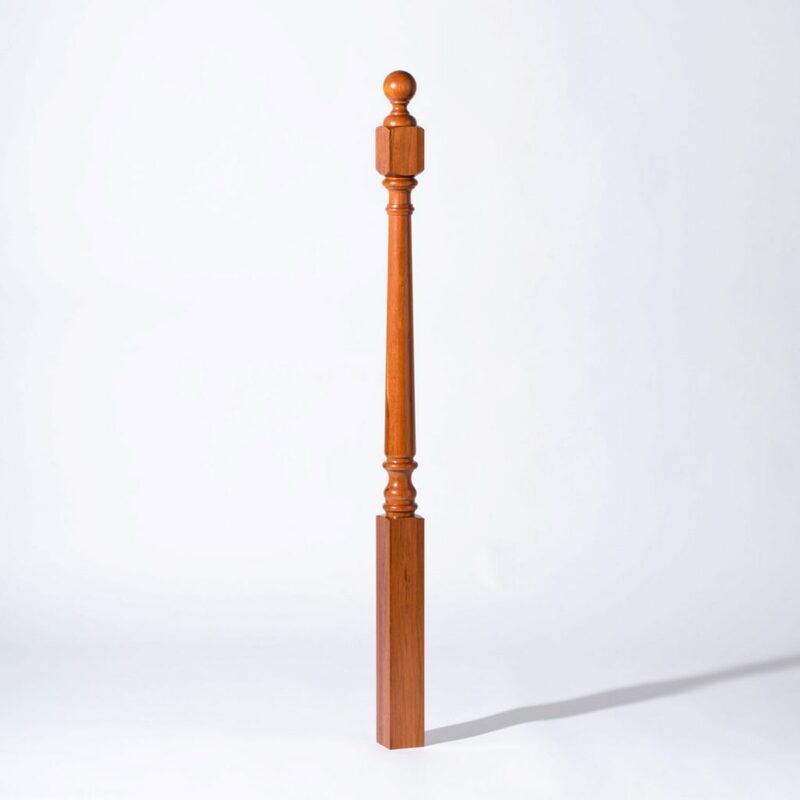 Colonial Turned Newels are cost-effective and can vary slightly in size and shape. 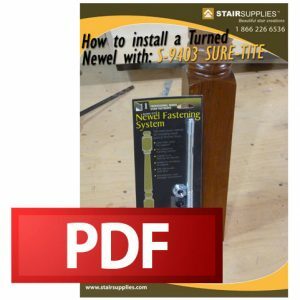 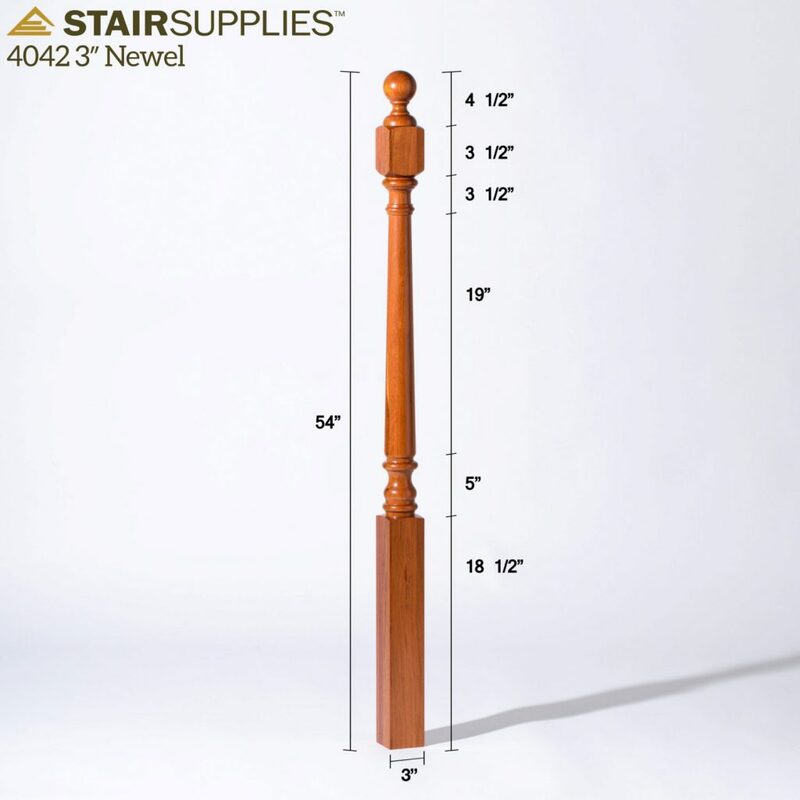 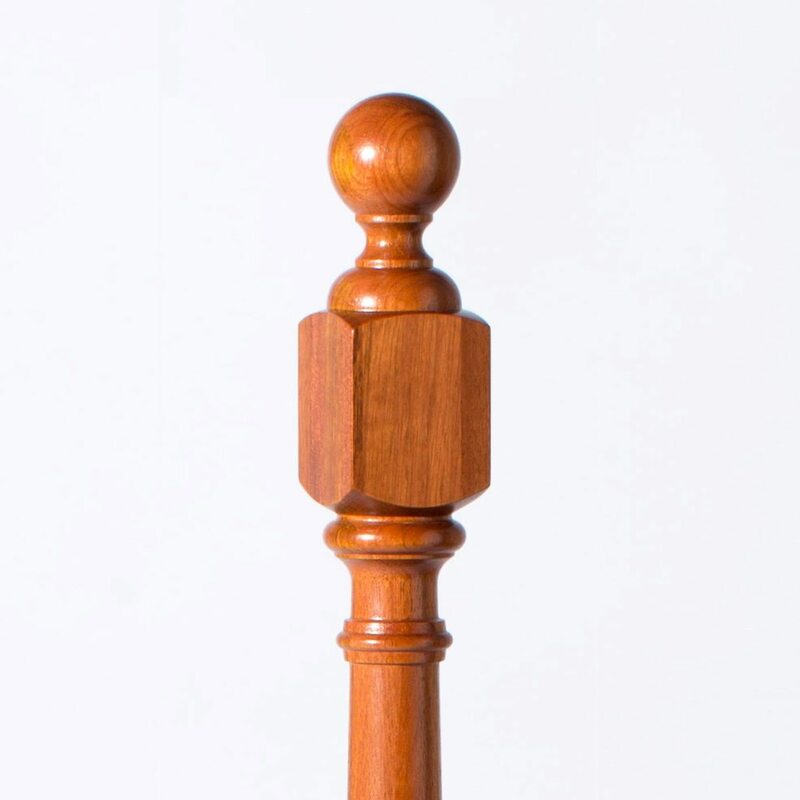 The 4042 3″ Newel has the same profile as the 4040, but stands 6″ taller. 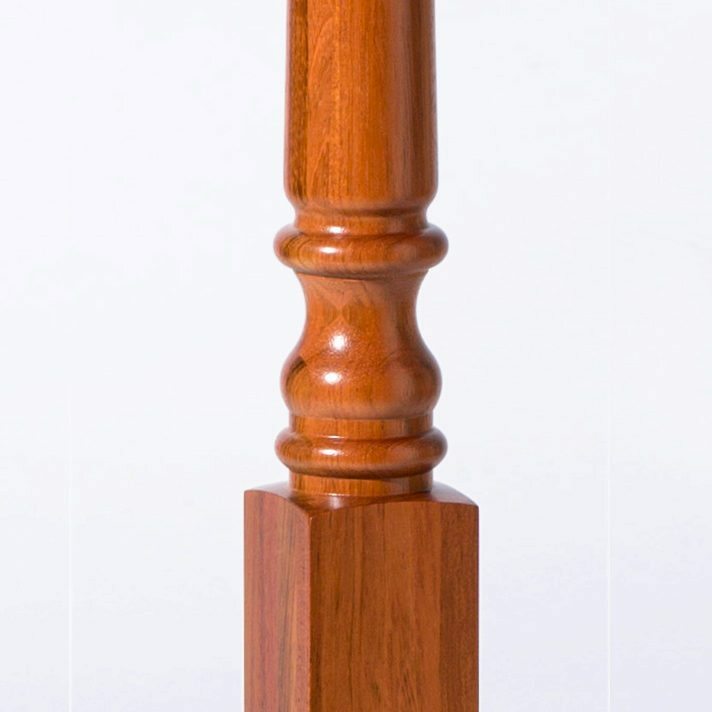 The height is added to the mounting block, leaving the rest of its features identical to its sister newel. 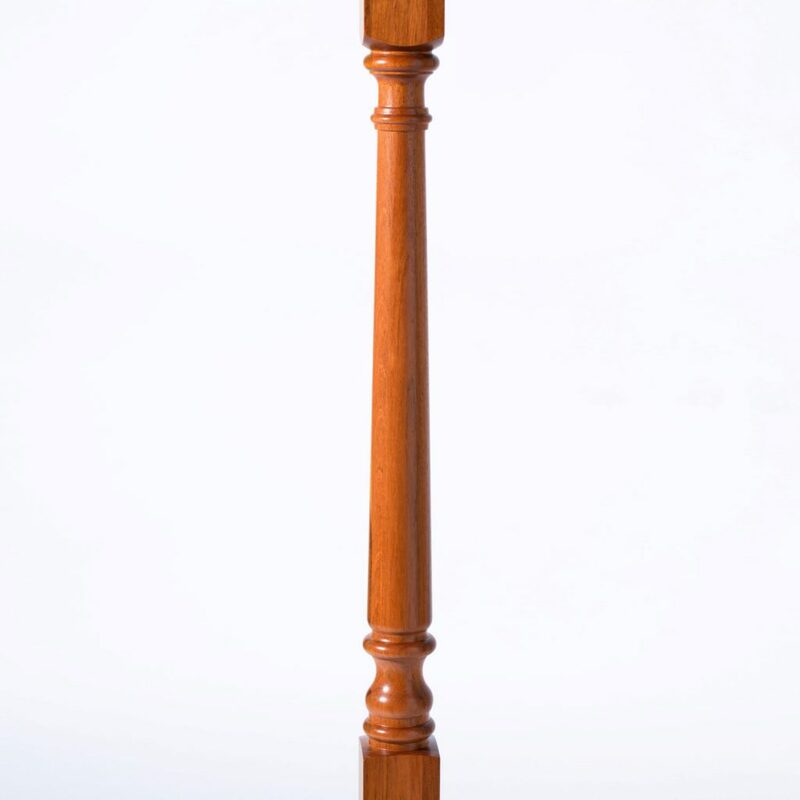 Because it has the same design as the 4040, the 4042 is one of the most popular newels used in post-to-post systems. 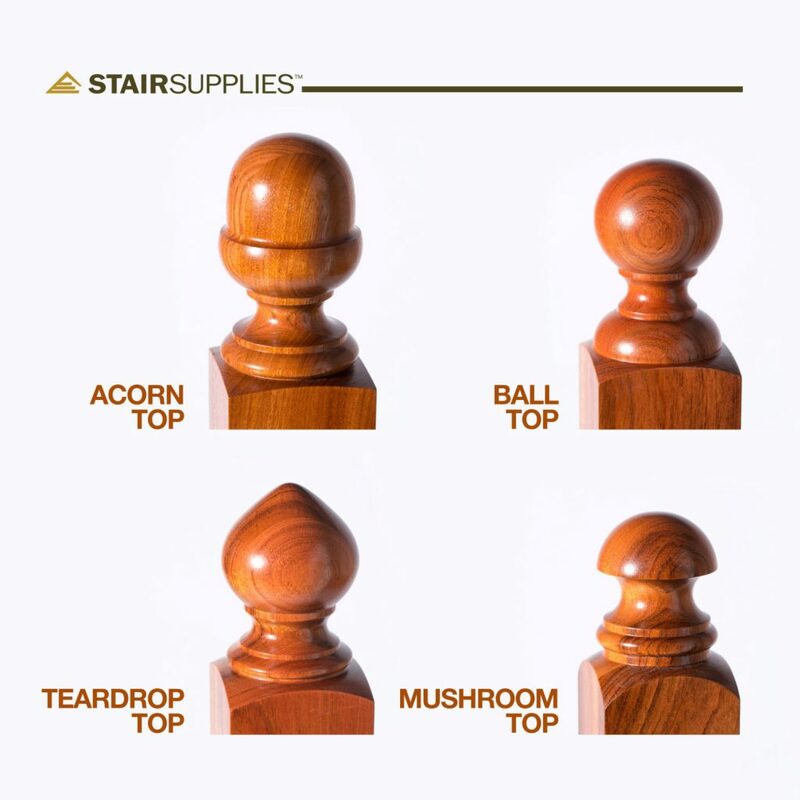 It’s classic design makes it a staple in stairways for the home, and it is available with any of our top styles: mushroom, ball, teardrop, and acorn.